That seems the one sure outcome, likely! Congress, a new sort of oligarchy! BJP’s build-up of allies shows anxiety and uncertainty! Why, the Congress confusion at many levels leaves it not with much choice and maneuverability! The BJP party and government has had its rounds of allies build-up almost complete. In some of the major states like West Bengal, even in other Southern states like Telangana, Andhra Pradesh show that it has not much space to push ruling parties beyond some limits. TDP is out, KCR’s party too seem not very accommodative. In Kerala too the scope for BJP making any headway is very limited. In TN it is very plain that the BJP resigned to whatever was offered by the already weakened AIADMK which itself is seeking some help from the BJP for its very survival at least for the next two years till 2021.
the current alliance tie-up, such parties like the CPI, CP (M) and the Thol Thirumavalavan party and others, both individuals as well as parties in existence like the DMDK and others would be only too happy to let them do and act in whatever manner. 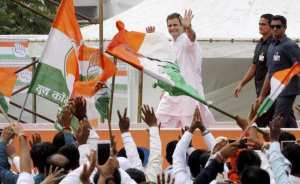 Congress higher ups, not to speak of Rahul Gandhi or others like Ghulam Nabi Azad didn’t think it worthwhile to descend on the Southern state. facilitate the DMK’s own agenda. The people of Tamil Nadu haven’t forgotten such high corruption like the 2G scams and Manmohan Singh’s own contribution! The Congress party too now changed into a coalition of like-minded vested interests! A sort of new oligarchy! Everyone is a leader, none is a party worker! So, it is anybody’s guess how the DMK-Congress combine would fare. So too other states. In UP, Mayawati took 38 seats, SP 37. The two have left out the Congress! In Delhi too AAP is out! So, what chance for Rahul Gandhi to lead the next government? So, too in Maharashtra. 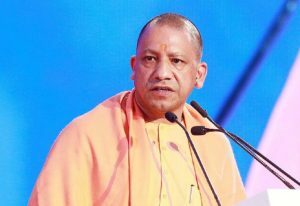 It looks that the BJP seems to be resigned to an uncertain allies formation and given the aggressive nature of the Opposition parties united challenge, given the leadership of BJP leaders like Yogi Adithyanath, there is so much uncertainty and public perception about the very atmosphere in India with so many unpromised promises the BJP seems resigned to an Atal Bihari era of multiple allies joining together to give the BJP another chance. But this is again conjectural and the media is yet to firm up the public mood, given the latest sombre mood after the Pakistan’s brutality and that has given the Indian public a sense of heavy mental burden of living with so many unfulfilled promises. The fallout of the GST and black money demonitisation is also there in a noticeable way. The media is subdued but at least one major South Indian mainstream paper, The Deccan Herald has given a detailed analysis about what happened in 2014 and what parties won what number of seats in every state. Yes, the BJP has the money and muscle power and the RSS could also play some role. But as for the Congress party, even the entry of Priyanka Gandhi, it seems at this point unlikely to shake the party’s looming lethargy and also the large concentration of vested interests, a rot of oligarchy with each one leader around the Sonia establishment to win her favour and catch her attention. It looks Sonia’s times are past a long time ago. The dynasty element is strong and it might not pull votes. The new generation, the 20-50 voters, the younger generation might not know all the greatness of the Congress party. Today, the party is still burdened by its past sins. 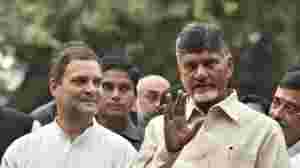 The large unelected units, from the CWC to AICC are all seem to be quite unrepresentative of the moods and opinions and the perceptions of the new comers among the large voters groups. So, by looking at the small number of parties and also caste groups and the quota politics might give other parties, other than the two large partisan edges to carry the vested interests among the small caste groups a sense of indemnity with non-BJP and non-Congress parties only. In one significant sense, a coalition government led by either one of the larger party or another acceptable consensus candidates, be it Chandra Babu Naidu or Mamata or even by Mayawati is likely to give a more open government without the disabilities to which one-person dominated party or government is likely to give a more broad-based leadership to the country and with better governance principles. Rahul in the race for PM? The ruling leading lights shout: It is PM vs. chaos! Opposition unity, a shame! Dissidence of any sort is not welcome. Because politics is grabbing of power, raw power at that! What the people, the voters would show in 2019? It is always easy to talk of global issues, in a sense. Be it high finance or trade or any other issues. So, we often see the Indian media reports that India would grow at 7.5 % while the world growth might slow down. Anyway such praise comes at times when the country needs some light and energy to life our spirits. It is only when the Opposition gets its acts together and get the government functioning stalled as it has been happening in recent times, one gets a bit unnerved. After all we are a democracy, more precisely a Parliamentary democracy and that means some imposition of rules and discipline in behaviour in Parliament. 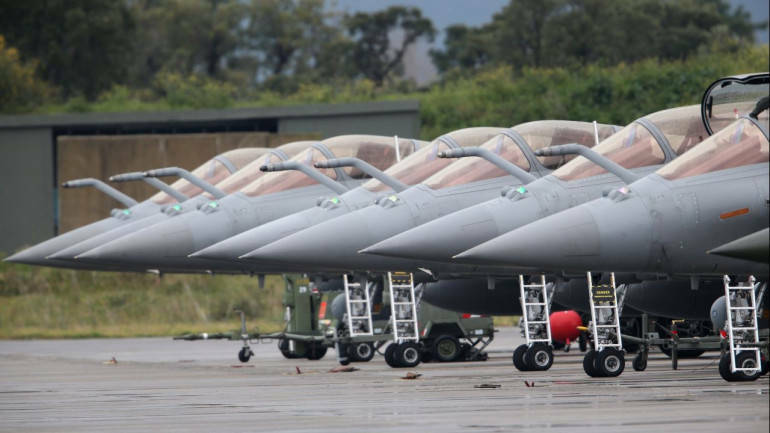 Again, the Opposition has lots of opportunities to disrupt the proceedings of the House and also, if the government is weak in its activities and that too in such high sensitive matters like, say the Rafale deal, then it is most likely the government looks very weak and defenceless and the Opposition seizes the upper hand. Prime Minister, sometimes, by overdoing the same sort of attacks by over-doing the same. This only has dented the image of the Central government as one that has lost its track and nothing to show by way of progress on other fronts. For example, the question of corruption is high on the agenda and also other sensitive issues have come to public notice recently. The CBI issues are man-made or systemic? Surely, the CBI is only the most critical and also directly under the Prime Minister’s portfolio. Surely this has dented the image of the quality of the Central government. The government acted very late and has led to too much waste of time and energy. Surely, the PMO must take the blame and it looks the final solution is something that is far away. There can’t be any quick-fix here and the image of corruption and a search for clean image for the PMO is not in sight. The 2019 general elections might have come and gone and much water must have flowed since then. So, the issue of corruption and also the related issue of the most suspect one is the postponement of the creation of the high office of the Lok Pal. Really it is galling to imagine why we have showed ourselves as a nation of hypocrites, as people who don’t mean anything when it comes to high corruption when it comes to running our democracy. Hindutva that was to give an answer to all the questions, issues and very modern issues of social, economic and cultural perceptions. Yes, the Congress was otherwise deficient, dynasty-focussed; it put the interests of a family above the larger country. This was a bit repugnant and not giving enough transparent and honestic public conduct. A great nationalist party of long legitimacy lost its core values for the existence of a family’s interest and also giving rise of a succession of corruptions that became public scandals. Big guns were also involved and yet a weak Prime minister hand-picked from the ranks of bureaucracy and it became evident soon that no among of justifying would hide the fact that the PM candidate himself didn’t know he was chosen but he learnt from other vested interests! One scandal followed the other and in the coal scam, it was the poor bureaucrats, it is alleged, who were made the scapegoats! The government became so scandalised that in the ensuing elections there were not enough right candidates and the party met with a historic low number. 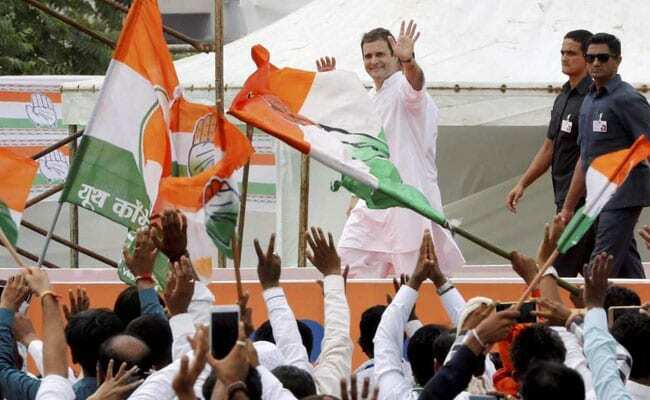 Now, is the Congress ready to rise up to the new challenges? It is doubtful it can rise up now. When other Opposition parties, now numbering some 19parties have come out with a show of unity. Yet, the past suspicions have gone away. These suspicions only showed the absence of some key players. Mayawati and Akilesh have joined hands. So too, it looks, Lalu Prasad’s RJD. Anyhow, even if Lalu wills his progeny with newly acquired power and opportunity won’t fall for Rahul as the likely Prime Minister and that seems a distant dream! Surely the time is right, it seems for a new coalition in the 2019 elections and someone other than Rahul might be elevated to lead the country. And that also seems right given the personality of Narendra Modi whose image, though somewhat dented, has not lost its sheen! Also, the money power, the electoral funds calculations. Yes, you need funds and big funds and the current scenarios such that the BJP is far above the next party, the Congress is election funds tally. Given the disenchantment of the moment it is only mature wisdom some new names and new ideas of a new coalition era to give stability and a new direction to the country. Agriculture distress is only one factor. The other factors are too many to narrate! A surprise of surprise is the latest move of certain courage on the part of the otherwise submissive bureaucracy to summon up courage, some 83 bureaucrats of high ranks, most of them ex-IAS officers, some really daring to write to the Prime Minister an open letter and ask the PM to get the UP Chief Minister Yogi Adithyanath to resign for having caused the killing of a policeman in Bulandshahr violence and riots over the alleged cow slaughter. The letter doesn’t mince words, it calls the killing of a government servant as “the most dangerous turn taken in the direction of politics of hate”. It is really something, given the fear psychosis created by the turn of events in India under Mr.Modi. The bureaucrats, often seen as a bunch of cowards who always seek government patronage under one pretext or other and who get cushy jobs, assignments of one sort or other and choose to live, why hang on in the comforts of the Lyton bungalow zone. And for them to summon up courage to stand up for some principles is really a very welcome change of psychology. It has been our consistent view that in India politics had degraded somewhat to a degree that all principles of decency and self-worth gone and anything can be done or justified to seek favours, not from the people in power, even otherwise, from those in some authority, even the part president, the Indian National Congress as one party that had been in power for long had developed a sort of India’s own version of a political oligarchy around the Congress establishment. In which dynastic politics to a culture of clinginess and we see the manifestation of many facets of our behaviour in public life. We talked to many senior leaders in Delhi and they all seem to give the impression of waiting for some job to fall in their lap. Those who were once top bureaucrats had turned into politicians, as members of the Rajya Sabha or Lok Sabha or even governors of states, why even the personal security guards had turned into governors! And lo! You see the most undeserving one had become big shots thanks to the unwisdom of the party presidents and leaders who by just crouching under the chairs of these know-nothings had seen Indian politics descend to some low levels. We saw these outcomes in the latest election campaigns, the incumber Prime Minister and the leader of Opposition, in this instance, Mr.Rahul Gandhi chose to speak in such abusive languages, vulgar words and unprintable fashion that Indian politics touched a new low, a new bad state of affairs. One more critical observation we want to make at this point. Mr.Gandhi, soon after he won the three state elections, perhaps unavoidable in the heat and flurry of emotions has started to speak in a sort of revenge that he won’t let the PM sleep and so on in the days and months to come. This is fine but it, this sort of empty rhetoric must end and a sense of substance in Congress alternatives must emerge, emerge rather too soon. How long Mr.Gandhi can afford to carry on in this fashion? Surely, the people too would soon become tired of such emptiness of politics. In fact, there is every reason to suspect that the people too, the voters in the just concluded elections were clearly became disillusioned with the Prime Minister’s promise of the moon! He promised so much and many of his promises, the list is long and well-orchestrated by the PM’s own self-indulgent haranguing and the built-up accumulation of all these unfulfilled promises, combined with other contingent events and developments, the UP Chief Yogis’ own contributions in the Bulandshar’s violence and the killing of the policeman and others of the Yogi’s own version of redemption for India had led to the total rout of the BJP. So, too the other failures. The CBI is now a meaningless agency as far as the public opinion is concerned. What sort of a doer is the PM, people ask. If he can’t ensure one important agency, the CBI when it has unleashed its powers to destroy Opposition leaders and that too under the direct administrative powers of the PM? Become a bugbear for a large variety of segments, the MSEs and many other small traders and the poor too. So, the media too have become a bi bold, the print and the TV channels, specially the pro-PM channels to have started to take up issues and causes that led, in our opinion, the slumbering IAS and other officials of high ranks to summon up courage and write directly an open letter. So, the BJP, as a party and its satellites, also the PMO with all its powers couldnt produce results and many issues, schemes and welfare programmes remain unimplemented. Now, the NITI Aayog itself has come out to find fault with the government’s moves to do away with the farm loans waivers. So, at the end of the day, so to say, the Modi government stands not on strong ground but on slippery slope on the eve of the mighty 2019 election game! So, the agri distress and the solutions remain elusive as we write this column. Agriculture is a vast subject. Vadamalai remains committed to this sector as our very survival. Solutions are too many. It requires a new sense of urgency and commitment. Let us take time and some inner courage to summon up courage to invite wide consultations. One instance is agri exports. There is a decline. From agri exports to MSP to crop insurance there is plenty of work left undone! In three crucial Hindi heartland states! What does this election win means? Means the rural distress in the agri sector nearly over? Rahul’s new found confidence justifies his current speeches and even his threatening postures? Yes, yes, he has every reason to be enthused about his hard-won battles! But then write-off of farm loans in MP and Chattisgarh, may be in Rajasthan too might trigger further demands for the BJP-ruled states too! Why not? It will take some more time, may be only after the 2019 big test, that further promises and even some write-off might be demanded. Already the Karnataka write-off is half way. The hard reality is that write-off of farm loans are never easy and never solved the current persisting farm distress. This needs hard thinking too. Congress times of old there never was such a proposal, write-off of crop loans. It needs experts and also much field level experience. At the micro level and macro level issues and realities. At present even the well-meaning Prime Minister Mr.Narendra Modi couldn’t do more than what his government has done for the farming community. We just don’t have some really well-meaning capable people at the top. You see experts are urban-based? And when the agri ministers or officials, let alone the Prime Minister don’t even speak out? Rahul Gandhi has promised write-off farm loans within ten days of coming back to power! Can he do this? Is there going to be any practical action in the time before the general election in 2019comes fast! Whom to trust when it comes to agri issues? Very rarely we get to know of the farmers issues. Agri issues don’t make to it to TV news headlines unless it is a massive march or a big rally as it took place on November 30 in Delhi where came farmers in large numbers from all states, and the much-publicised 200 odd farmers organisations managed to gather such a large crowd of farmers. Only such massive rallies make good TV news and not when you discuss problems in cold print. And there are some critical factors like who organises the farmers. Certainly political parties and they only one interest, that is of the coming elections and the parties gather together to win elections only. Rahul Gandhi’s grand promises of writing off farm loans within ten days of coming to power is a myth and of course no one cares to ask such questions. It is the heat and the buzz that is all matters for the multiple TV channels and each channel makes lots of noise and some even screams hoarse and the louder the more viewer rating, right? Yet the grand realities remain the same. A full page write up in the Hindu newspaper, of a 1,200 km travel by road by the newspaper’s correspondent brings into sharp focus the grim realities of rural living in the mostly desert state of Rajasthan and the various combinations of the castes of Rajasthan had rejected the Vasundare Raje Scindia. The villagers don’t show any unity as farmers and farmers are divided by castes and also classes. There are rich farmers and poor farmers. It is not possible to gauge how the farmers are divided by political affiliations. In Rajasthan there is a sort of anger over the Rajasthan pride over the Padmavati film and also the manner in which the Rajasthan sentiment if hurt by the BJP not treating the senior Rajasthani leader, Jaswanth Singh who is ill and his son, Manvendra Singh who was with BJP and walked over to the Congress which had put him against the Chief Minister Vasundara Raje Scindia, a non Rajasthani! It is widely predicted soon after the election process was over that the BJP might lose and the Congress might form the government. In Madhya Pradesh too, the Chief Minister Chauhan too face a tough Opposition, though he might scrap through and yet he would lose his shine, widely predicted again. The point here is whether one part wins, the other loses, and the status of Indian agriculture, right now is one of deep distress. No one seems to have any clue. In the issue of the newspaper on another page it is highlighted how M.S.Swaminathan has co-authored a column, published from Bangalore, finally throwing out his hat and saying that the GM cotton has failed, nay, all the GM crops a failure and GM technologies won’t help, a sustainable food production and nutritional security not possible by the GM technologies. So, we are left with no other alternative assurance, this government neither promises you these goals. Now, what are we left with? The same persisting rural distress and that means what? Farmers suicides, as we write, in Maharashtra and UP as we write, and the government’s untrustworthy promises are only we are left with, ironically, every time with the every approaching elections! So, it looks as though the time has come to see agriculture distress only in terms of electoral battles. Even the much hyped farm loan waiver in Karnataka is getting delayed. And very soon the people, why, the farmers everywhere, seem to be ignored even in Madhya Pradesh we saw police firing at Mandsaur where five farmers were killed in police firing! While the Government’s Principal Scientific Adviser K.Vijay Raghavan had disputed the MSS research paper as deeply flawed, what is the real answer? Alas! There is none in the official hierarchy to come out with an honest response. Nor we have any public intellectuals who can speak out. Of course, it is not a scenario where we can leave with such a negative outlook when it comes to agricultural sector. In the outside world agriculture, food production and much else like ensuring nutrition to children and all such larger goals visionary goals are called for.FAO and other agencies have predicted serious consequences and emphasised future food needs of the world with higher populations. So let us think positively. As far as this journal is concerned there are certain deeply entrenched policy prejudices that govern even today the agri sector in the country. One, as the NIITI Aayog has come out with a model land legislation that suggests some bold reforms, make farming an equitable activity between the land owners and the tenants. Currently, the tenancy and land ceiling and other issues are government by a rigid set of laws that have made farming unviable, among other factors. Unless farming is seen as a possibly viable activity, more farmers would leave farming sector and move to other profitable activities like construction and other service industries. There is a furious urbanisation process and many able-bodied people have left their rural habitats. In the north, from Bihar and UP, why other states like Odisha there is a seasonal migration to cities. From the other states too there is great migration process started, as for instance, most educated young man and women have moved to Bangalore and other cities. So, how do you care for agri productivity and production? There two views for agriculture. One, the micro view and other macro view. The micro view is just look at problems in particular rural pockets. Life in the villages is becoming tougher every day. At the macro level we have bigger problems like Indian agriculture vs. the global agri issues, like agri trade and agri exports in particular. WTO, why even the big agri economies like USA and China, they object to Indian agri subsidies. Now, India speaks a new agri export policy, doubling of exports. Fine! It is our view that only when the agri exports rise, the farmers would get decent prices for their produce, as other countries, the USA, EU agri subsidies show. Let us feel confident on the agri front. New governments must think on these lines. Jai Hind! 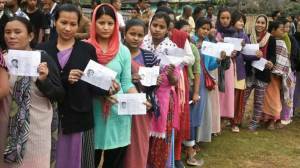 Chhattisgarh Assembly elections and the menace of Naxalism! You see that Chhattisgarh state along with four others is in the midst of an important Assembly elections and the outcome would decide the fate of the parties in the crucial 2019 Lok Sabha general elections. The political parties, in particular, the BJP and the Congress, are doing everything, from rhetoric to below the belly attacks against each other and as for the other parties, the allies and the others too are caught in cross fires, considering the fast changing alliances, defections and bargaining’s and much more. Where does this bizarre scenario leaves the voters, more so the rural voters, mostly farmers and other artisan classes in most of these rural pockets of India. Agriculture in India at present is in deep crisis and no one seems to have any clear vision or policy deliberations. At the end of the day, Mr.Rahul Gandhi too with all his high decibel campaigns across the states seems to have no other alternative except to promise farm loan waivers. Is farm loan waiver really possible on such large scale? Even in Karnataka where the Congress and the JD (U) formed alliance and the government Mr.Kumarasamy, the Chief Minister is struggling to fulfil his promises to waive the farm loans. The very few farmers who were promises the farm loan waiver certificates are yet to receive them and once they receive them we are not sure where these happy or hapless souls would leave them as for their next crop season. Surely, the farmers who get such farm loan waivers won’t get invited by the banks to have one more chance to borrow, even if the borrowing is for genuine farming needs. Go everywhere in rural India, into the rural interiors and talk to a rural bank branch manager whether his bank would lend to farming, you are very likely to have an evasive answer. Even if any bank lends it is very likely to get the property document of the farmers and very likely that option too would be most like cut for it is very likely that the farmers might have already pledged the documents and they would be over-lend and heavily in debt, not to one bank, many branches in the neighbourhood. To cut the story short, it is really a tough task to revive agricultural activity based on the rains or on the market conditions for farming. Indian agriculture has to undergo a very radical and controversial change from abolishing the many land legislations, the NITI organisation, the government planning unit has already published its version of a model tenancy land legislation to replace the many other similar but anti-land-owning farmers letting out their lands for tenancy farming. Of course, everyone in the field knows well why politicians hesitate to talk about this side of the story. We have created an environment of humbug that is against farming on market conditions. So, there is an accumulated heavy debt in rural households and an average Indian farmer is basically debtor, a litigant or a court bird. The heavy accumulation of land related court cases in the various court of India is one of the large components of the pending cases in the courts. Once you get into litigation then you are almost finished, no hope of getting any relief, let alone any compensation for the first stake of letting out your precious landed property. That is why you see no new investments in the farming sector. We are of course referring to the small and medium sized farms. The rich, as they are already have had their many escape routes and the rich can afford to crush and bend to their will any troubles in owning rural landed property. From point onwards starts your other problems. So, the rural distress is basically an outcome of the accumulated past sins and lack of any action on the part of almost all the state government. And now, the Naxalite threats to work towards their own version of utopia. Naxalites are a disparate group. There are the tribal regions in which only the current threat has taken all shapes of insurgency. We now read that the current leadership of the various Naxal groups are divided among different leaders, some strong and the others not so strong but strong in conviction and determination to hand on. with. 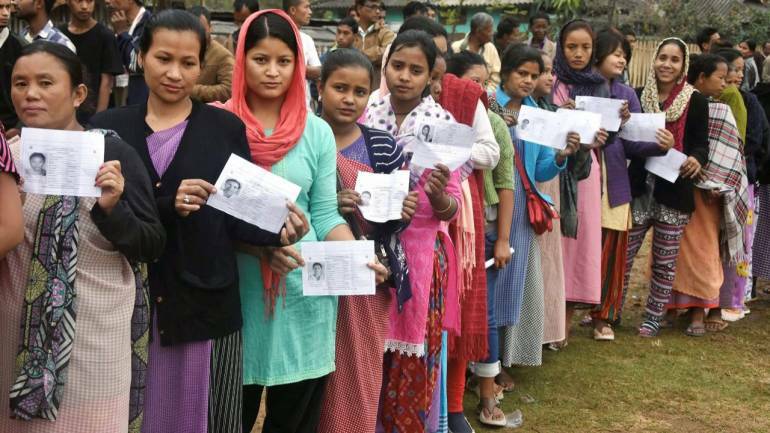 However, given the latest reports that the poor tribeswomen and the aged had come out in the open and voted and the polling is over even 70% shows that the Maoists can’t fight the State in the long run. What is likely is that in the short-run the Naxalite groups have some fire power but it is likely to become weaker and weaker in the future. Naxalism as everyone knows is an anarchic group. We have had the past history of anarchism in Europe and it is an ideology that wants the State to wither away! Possible? Not at all. But what should worry the public is the urban Naxals! These people, the ones under house arrest have opened a Pandora’s Box! It is anybody’s guess where these so-called urban Naxals will lead us to or when they would reach their destination. The urban intellectuals who also proclaim their affiliations, let us hope, would end up as hopelessly frustrated one day, sooner this is like to happen, given their back grounds as middle class theoreticians and writers of theatres and novels or simple radical columnists. Agriculture is deeply in the current crisis. Unless agriculture is revived and rural prosperity is ensured there would be crisis and discomfort in the rural scenario. Of course, agriculture too can’t be revived so easily. Agriculture’s priorities are so different that in an ideal situation agriculture must get more social recognition and there must be a great share of the budget for this critical food segment. A looming food crisis is predicted for the future of the world. There are issues within larger issues and so we have to create a widely shared public opinion as to the place of agriculture and food industry to share the resources in any enlightened agricultural and rural development policies.